Global Aircraft Service is located in the Addison, Texas airport and we conduct in-house aircraft fuel systems inspections, including leak detection and repair services. We have been established here since 1998 with hangar space large enough to house most corporate aircraft. 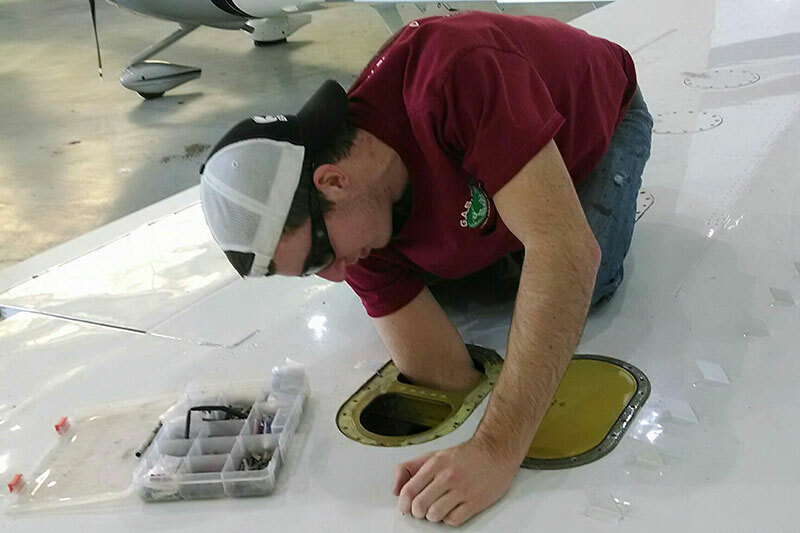 If your aircraft needs work done while pilots receive recurring training or if you’d like to visit our location, we will be glad to host your aircraft and perform an on site inspection. Aircraft fuel leak detection ensures your fuel systems are in top condition and detects small problems before they become large, costly ones. 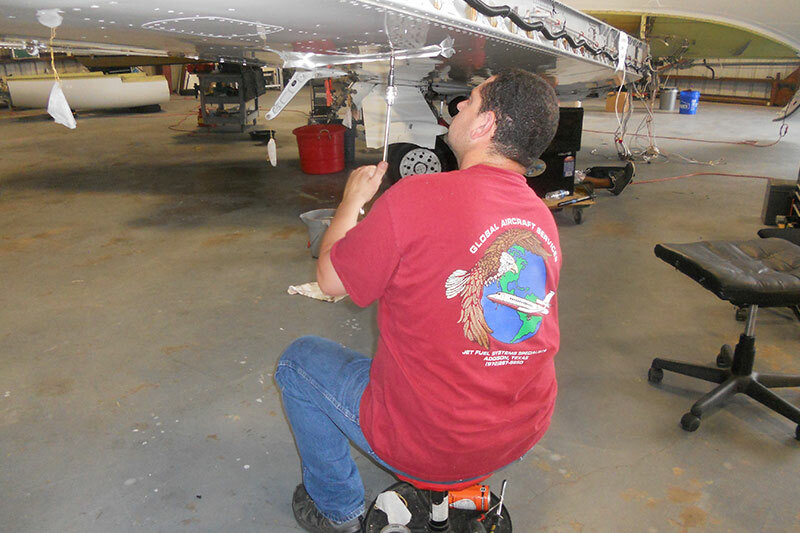 When you come to Global Aircraft Service you can rest assured that you are receiving the most professional service in the industry and our team of professional mechanics will do their best to restore your equipment to its original condition while minimizing downtime. 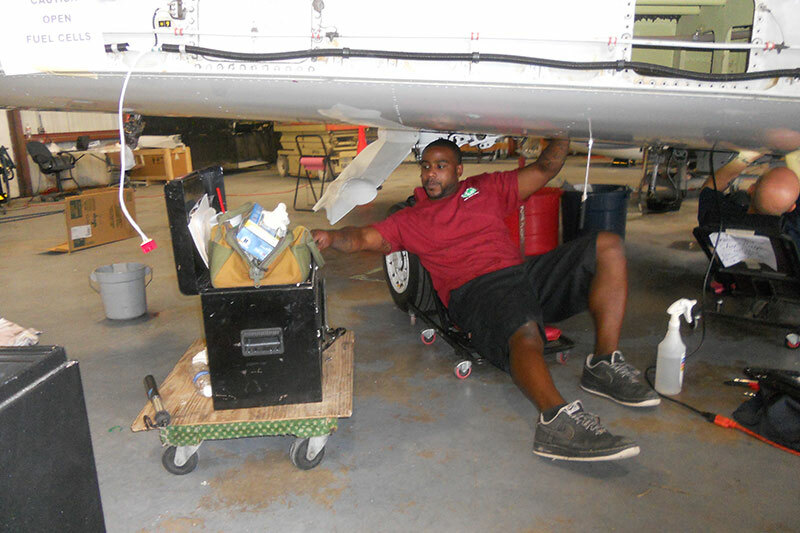 Our team of experts will perform a professional fuel cell inspection on your aircraft and provide you with a report. Please be sure to make an appointment well in advance so we will be able to accommodate your aircraft. Contact us today to learn more about our in-house aircraft fuel leak detection. We look forward to hearing from you!